Order books are now open for the 237bhp Skoda Kodiaq vRS, with list prices starting from £42,870. Aiming to offer a blend of sportiness and suitability, it’s the first performance-orientated SUV Skoda has made. We’ll bring you the very best lease rates as soon as they’re available. On the outside, the Kodiaq vRS is marked out from lowlier models thanks to its beefy bodykit, 20in alloy wheels and of course a plethora of vRS badging. 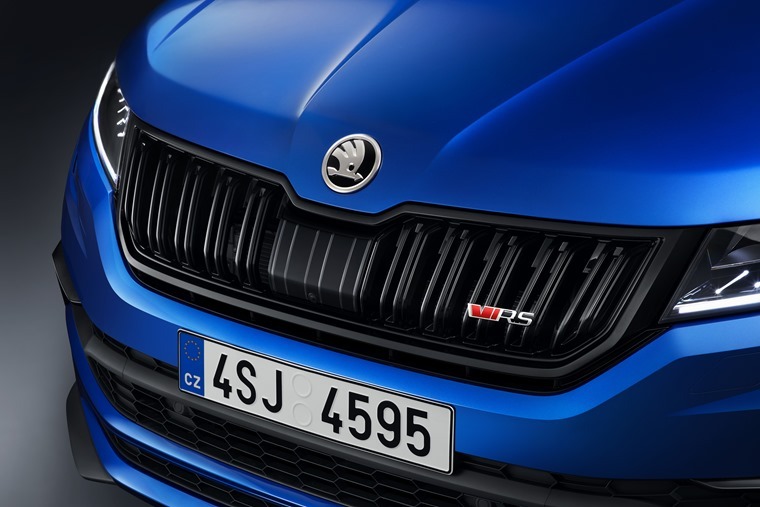 The performance model is powered by the most powerful production diesel engine in Skoda history with a power output of 237bhp. 0-62mph takes seven seconds, and top speed is 138mph. A series of modes are standard, including Eco, Normal, Comfort and Sport – and each ramp up the suspension and steering set-up a set amount. The driver can also configure their own set-up via an ‘Individual’ mode. The Kodiaq vRS will come with Alcantara seat upholstery and door trim as standard, as well as contrast stitching in a diamond-cross design. Meanwhile, the side bolsters are covered in carbon leather and bear red stitching, just like the central armrest and the armrests in the doors. 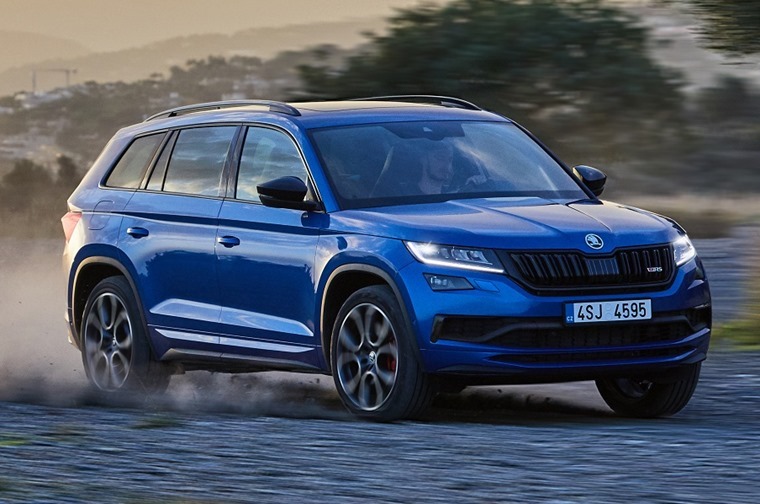 You can’t call a vehicle a ‘performance model’ without putting it around the Nurburgring, and that’s exactly what Skoda has done with the new Kodiaq vRS, giving us a first glimpse at the long-rumoured SUV. 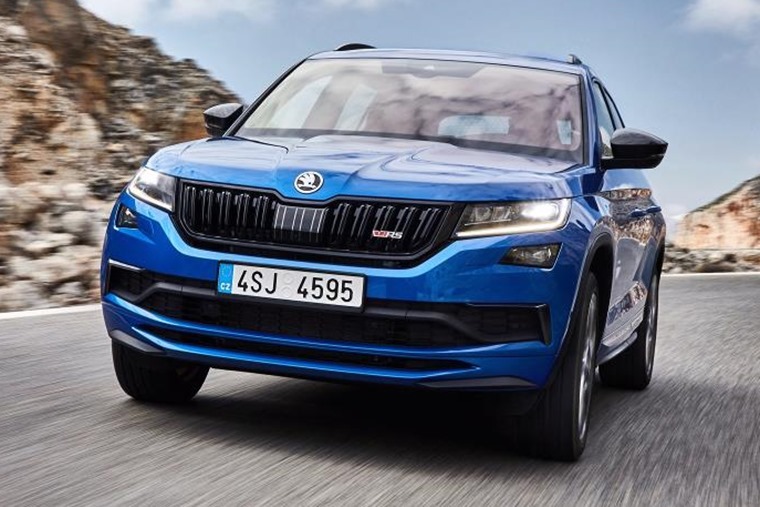 Hiring racing driver Sabine Schmitz to put the Kodiaq vRS through its paces before Skoda’s new SUV flagship is launched, it allowed us to see the seven-seater’s extraordinary performance as it set the Nordschleife record for a seven-seater SUV at 9:29.84 minutes. Known as something of an expert, Sabine Schmitz is familiar with every one of the 73 corners and 300m of hills across the legendary 20.832-km-long circuit as she is the first and only woman to have won the famous Nurburgring 24-hour race. Deliveries are expected to commence in Spring. 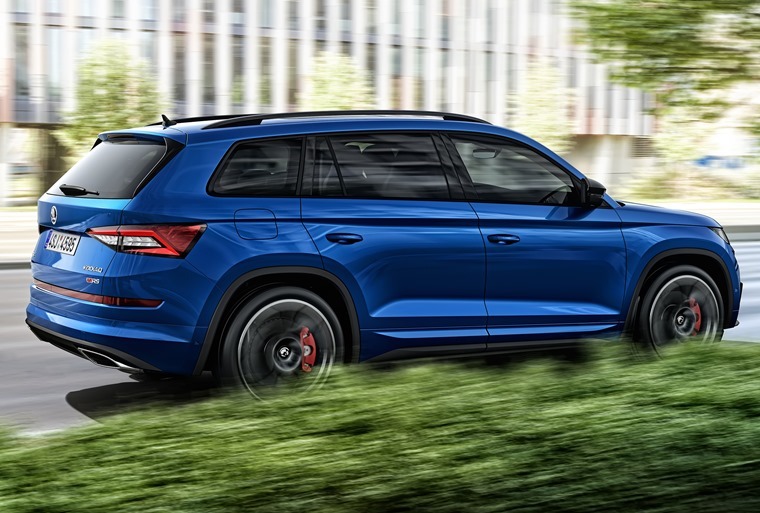 We’ll bring you lease rates as soon as they’re available or, if you can’t wait for the vRS, check out deals on the standard Kodiaq by clicking here.